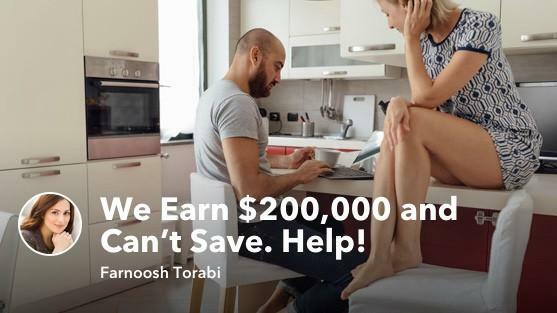 We Earn $200,000 and Can’t Save. Help! 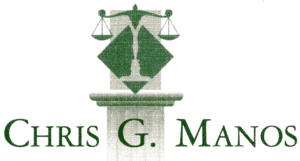 Manos Legal Services > Bankruptcy > We Earn $200,000 and Can’t Save. Help! Mia, 35 and her husband Luke, 36, earn a combined $200,000 per year. But after paying their mortgage and rental property loan, as well as car and student loans, child care, and other living expenses, the Los Angeles couple has a difficult time socking away money in savings. They do have about $10,000 in a rainy day account, which could cover their expenses for about one month. But adding to the account has been proving difficult. Luke feels confident that if they ever run into a serious financial bind, they could always take advantage of their low-interest home equity line of credit. But Mia isn’t comfortable with that route. She’d prefer to have more cash on hand. Luke recently transitioned to a new job as a government attorney, which he loves, but it also meant taking a 50% pay cut. That’s impacted their ability to spend and save as comfortably in recent months. It was an unexpected opportunity for which the couple wasn’t financially prepared. Mia and Luke would like an objective look at their finances to discover ways to reduce spending, increase saving and possibly find new revenue streams. “I’d love to figure out a side-hustle, so that I can eventually leave my job and spend more time with the kiddos,” says Mia, who works in marketing. Other goals including affording a new car in a couple of years and remodeling their primary residence. College Savings: The couple has 529 college savings funds for both of their children. They allocate their cash back rewards from credit cards towards these accounts. Currently they have about $10,000 saved for their 4-year old and $5,000 saved for their 1-year old child. From my point of view, I think the biggest hole in Mia and Luke’s finances is their rainy day savings bucket. Relying on a HELOC to cover an unexpected cost is not really an ideal plan. In theory, the money can be used to cover expenses and the interest rate would probably be far lower than the rate on a credit card. But in reality, tapping a HELOC means falling further into debt. They do have $10,000 saved, which is good. But it’s not great. If not for an emergency, the savings can allow them to achieve other goals. The couple mentioned wanting to buy a car in a couple years. This will probably require a down payment. Having cash can also assist with renovating their home. Their previous residence is now a rental property. It nets them about $500 per month. The couple is using this money to pad their living expenses. Can they, instead, move this into their savings account for the next few years? The way I see it, they should have a proper six month cushion in savings to tide them over in an emergency and/or if they need money to address their goals. This rental income isn’t going to get them to this 6-month reserve too quickly, but it’s a start. While I don’t have a detailed breakdown of all of the family’s monthly expenses, I can bet that they can pare their expenses to save an additional $300 to $500. A few dinners out, some unplanned purchases at the grocery store (because you took the kids) and a couple monthly subscription plans can easily add up to $500 in one month. Whenever I want to save more, I schedule money to transfer out of my checking and into savings at the top of the month. I do this automatically and only spend whatever money I have left. I’d suggest doing this for the first month and seeing how it feels. Do you really notice the money is gone? If yes, revisit some of your recurring costs and decide on trade-offs. If Luke’s salary has decreased by 50% then the couple needs to make some modifications to their spending. The math, otherwise, won’t add up. Can Mia Adjust Her Work Structure? Mia is interested in a side hustle, too, to bring in extra income (which I highly recommend). Sites like tutor.com, care.com, taskrabbit.com and others can help you find quick work within her preferred time frame. In the meantime, can she and her husband find ways to adjust their work hours or commute, which saves gas, time and money? Mia’s commute to work is one hour each way. That’s ten hours per week stuck in a car. And my guess is that while Mia’s driving, she’s paying for daycare, for at least some of those hours. Could she work from home one or two days per week to reduce her time in traffic, as well as her child care costs? Bottom line: When Luke’s income dropped by 50%, the couple didn’t adjust spending. It may help to take pen to paper and imagine they were building their budget for the first time. Take all of their expenses off the table and rebuild the budget and lifestyle to better align with their adjusted income. Start with the absolute needs first: housing, insurance, food. And really scrutinize all other expenditures. Unless it’s an absolute need that they can easily afford it, consider shutting it off until they’ve reached a 6-month savings pad.